Like the first Legend of Grimrock, the sequel is filled with brutally difficult puzzles, harrowing monster battles and cruel traps. It’s also incredibly fun. While individual puzzles and walkthroughs can be combed through via wikis, forums and guides, these tips are more generalized and spoiler-free. Knowing is more than half the battle in Legend of Grimrock 2, and even veterans of the first game will find lots of useful new information and tactics to utilize while adventure on the island of Nex. 1) Create a balanced party of specialists. There are only so many weapons and armor on the island, it would be supremely difficult to outfit four warriors, especially in the early game. Instead diversify your party as much as possible to cover different skills and different weapon styles. You’ll also want at least two frontline fighters to wear the majority of any found armor and take the majority of the hits. I suggest at least one Heavy Weapons and one Light Weapons user. 2) Alchemy may be the most important skill in the game. You don’t necessarily need an Alchemist (though I’d highly recommend it if you want to wield firearms) but do invested in the alchemy skill. Unlike the first game you do not need an empty flask to make a potion, only the proper herbs. And the island is chock full of them just lying around. At 4th level you can brew Greater Healing and Energy Potions, the former which also heals injuries, and several new potion types are introduced that require high levels of alchemy, like Potions of Resurrection and even the ability to brew permanent attribute boosters. Alchemy is amazing. 3) Either max the Firearms skill or ignore them. Even with an Alchemist firearms malfunction at an annoying degree, essentially removing them from the current combat encounter. The firearms themselves are rare and fairly powerful, and though ammo is decently plentiful you do not recover them like arrows and quarrels. If you’re firing your gun as often as possible, you will quickly run out of pellets, so invest in a backup weapon skill. When Blizzard approached the sequel to seminal Action-RPG Diablo, they expanded the gameplay beyond a single large dungeon-crawl into the deserts, jungles and forests of the larger world. 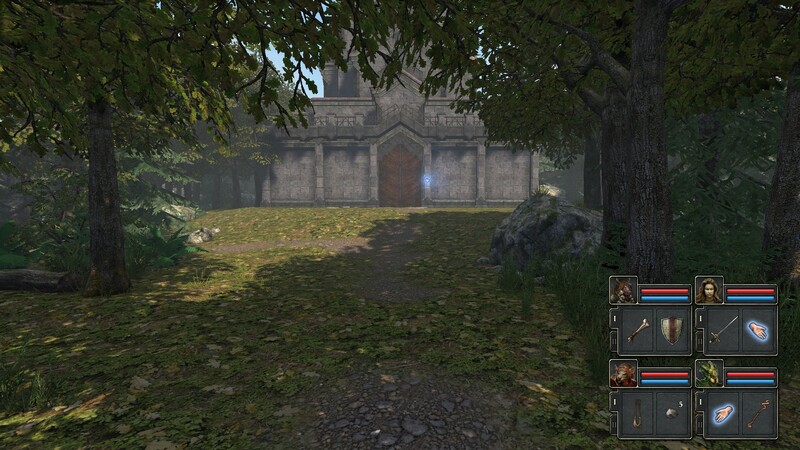 Almost Human utilizes a similar design philosophy in creating the sequel to 2012′s Legend of Grimrock, a modernized but still old-school at heart first-person grid-based RPG. 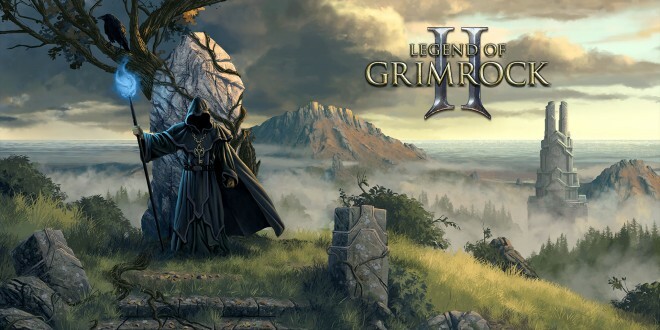 Legend of Grimrock 2 still begins with a four person party of prisoners, only instead of being cast into a hellish dungeon, your ship crash lands into the mysterious island of Nex, home to a robed figure known as the Island Master, as well as a host of monsters and Grimrock’s intriguing brand of devious puzzles. Many of the core gameplay mechanics remain the same from the original. You navigate the world one square at a time picking up items and weapons, searching for secret buttons and treasure chests and solving a myriad of puzzles. All the denizens of the island, including lots of new foes as well as some familiar faces (yes those terrifying spiders are back, and there’s a dungeon full of ‘em) follow the same square moving rules, and your approach to the ‘square dancing’ method of combat as either an important part of the gameplay or exploitative will still likely determine your overall enjoyment of the combat. Gotham has been teasing us with Arkham Asylum for the last three episodes, and this week finally puts the infamous insane asylum in focus. Sort of. 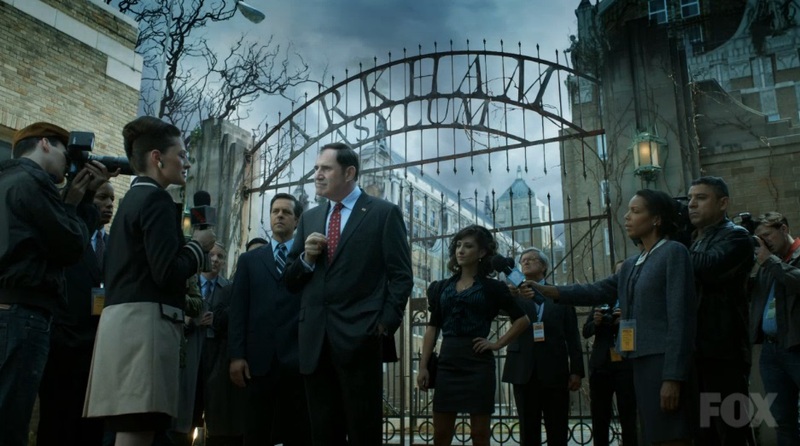 The old abandoned Arkham Asylum is at the center of a turf war between the two biggest mobsters in town – Falcone and Maroni, and the two will do whatever it takes to grab a bigger piece of the pie. It feels like the series has been somewhat building to this mob war, but it really just amounts to a single assassin taking out a few councilmen and going after the mayor. While the main killings and subsequent investigations are underwhelming, the political maneuvering behind them are somewhat interesting, and once again it’s the side stories that really lift this episode up. “Arkham” picks up right where last week’s left off, with Oswald Cobblepot paying a friendly visit to a very shocked Jim Gordon at his own home. Oswald puts on his now familiar disarmingly friendly guise and Barbara’s equal friendliness is a funny contrast to Gordon’s complete inept to deal with the situation, until he leads Oswald outside and practically assaults him in the streets. “I should’ve killed you. I should put a bullet in your head right now!” Gordon’s rage is something we haven’t seen much of and I definitely like this side of him while he’s young and brash. “There is a war coming, Jim,” Oswald exclaims before dropping more hints about Arkham. Oswald wants to play every angle he can, and what better way to upset the natural balance of mobsters vying for power than the one honest cop in Gotham? I’ve finished another backlogged game from the excellent Humble Indie Bundle I purchased earlier this year thanks to Rogue’s Adventures. You can read my latest Final Thoughts on my gaming blog, and enjoy the excerpt below. Rogue’s Adventures has introduced me to a lot of non-violent puzzle games, especially in the last year – Antichamber, Fez, Portal, etc. 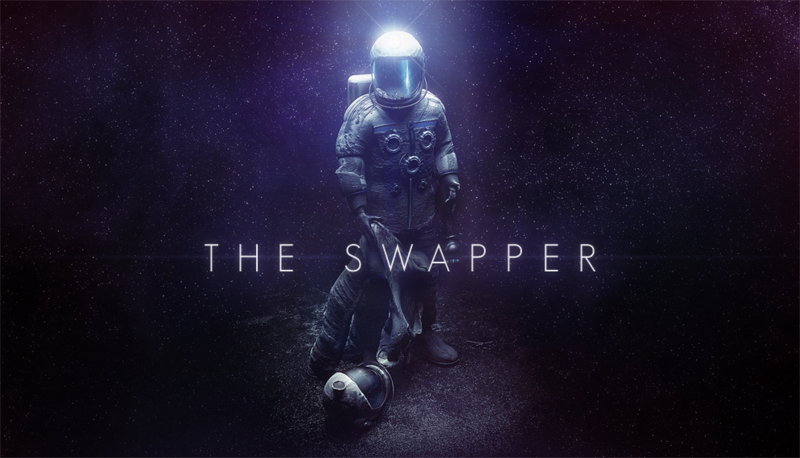 The Swapper is absolutely the best of the bunch (yes, I enjoyed it more than Portal, I generally prefer 2D to 3D with my puzzle games) and is also one of the few games with a foreboding sci-fi horror theme that is never actually reaches heightened stages of horror. A friend of mine put it succinctly: It’s like the first 15 minutes of a sci-fi horror film where we’re delving into the danger before *** hits the fan, extrapolated over a five hour game. To me that pervading sense of dread and curiosity without having to feel scared of zombies or aliens jumping out at me is a huge plus, and something I rarely get to experience in games. I really don’t do horror games and The Swapper’s emphasis on puzzle solving and exploration while still maintaining its creepy atmosphere of What Went Wrong was wonderful to experience. Every once in awhile a fun hashtag pops up on twitter that I actually participate in (besides my own weekly movie live tweeting on #RogueDVDNight). 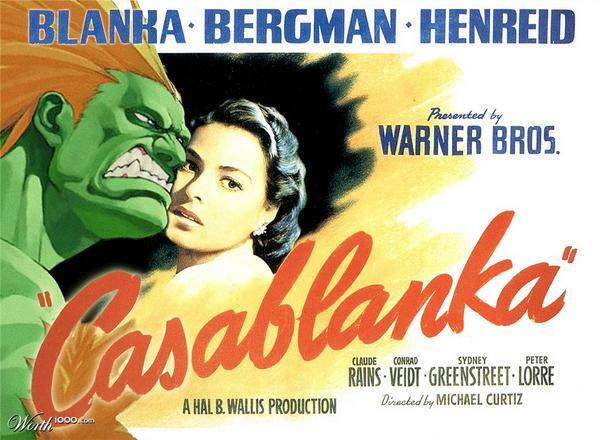 On October 6th I noticed a friend tweet a #GameMovieMashup, which combines the titles of games and movies. I believe IGN started it, though I don’t actually follow them on twitter. Anyway since twitter isn’t the easiest thing to archive and look up, I’ve compiled a list of the Game Movie Mashups that my friends and I furiously concocted on twitter that day. Many folks obviously had fun with the hashtag but I’m just including my friends below for some fun record-keeping. Detectives Gordon and Bullock track down a vigilante who is killing corrupt Gotham citizens by attaching them to weather balloons. Meanwhile, Oswald Cobblepot returns to Gotham and gets a new job close to an influential figure in the underworld. I mentioned in last week’s review that I was growing fond of the focus on Penguin’s rise to power and the intriguing manner in which he’s portrayed – a sycophantic, underestimated sniveler who nonetheless squeezes out of dangerous situations and resorts to gruesome violence at the drop of a hat. It’s fun to watch this character from a “what the hell is he going to do next” point of view, and “The Balloonman” opens with his darkly humorous return to the city he loves. Alas the actual titular villain is as lame as you imagine and much of the main structure of the episode is so heavy-handed in introducing a proto-vigilante that I worry about Gotham’s extreme dumbing down for the broader audience it’s trying to reach. I think going for that larger, non-comic book audience is great, but there shouldn’t have to be a compromise for heavy-handed dialogue and eye-rolling repeating themes. After Penguin steps off the bus and becomes refreshed upon witnessing numerous petty crimes happening around him, we cut to what is apparently going to be our Murder of the Week. This one is a bit unusual, even for a comic world, as a crooked business man (we know he’s crooked because he’s literally on the phone telling his lawyer to pay off judges and jury members) gets accosted by a street vendor before he’s handcuffed to a weather balloon and sent soaring. It’s inventive, theatrical and silly, and it also means our poor detectives have no body to work with when they arrive on the scene. Our latest episode of Chamber of Game, the video series hosted by Leviathyn, takes a look at Endless Legend. Developed by Amplitude Studios who previously made well-received 4x space strategy game Endless Space, Endless Legend takes the action down to the planet of Auriga featuring fantastical factions and gameplay that’s very similar to Civilization while still introducing lots of new concepts and mechanics. In this video Chris and I show off some of the early game while discussing how a race of murderous insect people are maybe just misunderstood.